"We're hesitant to jump on board with heavy attacks" personally against President Obama, Nicholas Thompson, the vice president of polling firm the Tarrance Group, said on the call. " There's a lot of people who feel sorry for him." "I don't like playing defense," Fleischer said. He suggested the listeners to Tuesday's call label the president as a flip-flopper on the following issues: opposing tax increases for those making under $250,000, opposing the Bush tax cuts, opposing raising the debt limit, and opposing a health care mandate. "When it comes to flip flopping, Barack Obama is the king of flip flopping," Fleischer said. "You can offer that to anybody," he suggested. 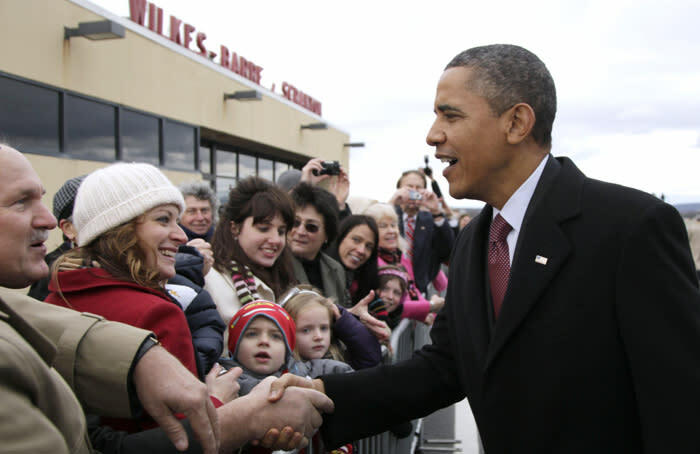 Thompson noted that Obama may be boxed in by similarly strong personal approval numbers for Republican lawmakers as he ponders attacking the GOP House majority during the 2012 campaign. Obama running against Congress is not going to work," Thompson said. Fifty-eight percent of the voters surveyed disapproved of how Obama is handling relations with Congress, according to Tarrance's November poll. "It's a tough road for him when you look at those numbers," Thompson said of the president. Thompson said that his group's research suggests that voters are giving Obama higher approval on foreign policy than on the issue of jobs and the economy. Voters aren't simply looking at the president as the symbol for a "broken Washington," Thompson said. Update 3:40 p.m.: Republican National Committee communications director Sean Spicer followed up with Yahoo News to say the story "misses the point" and that Tuesday's call wasn't about ways to avoid attacking the president, it was about sharing the best strategies for attacks. "It makes more sense to focus on his failed policies than on personal attacks," Spicer told Yahoo News of their data regarding the president. What question would you ask the candidates about health care? We may include your question in the debate.